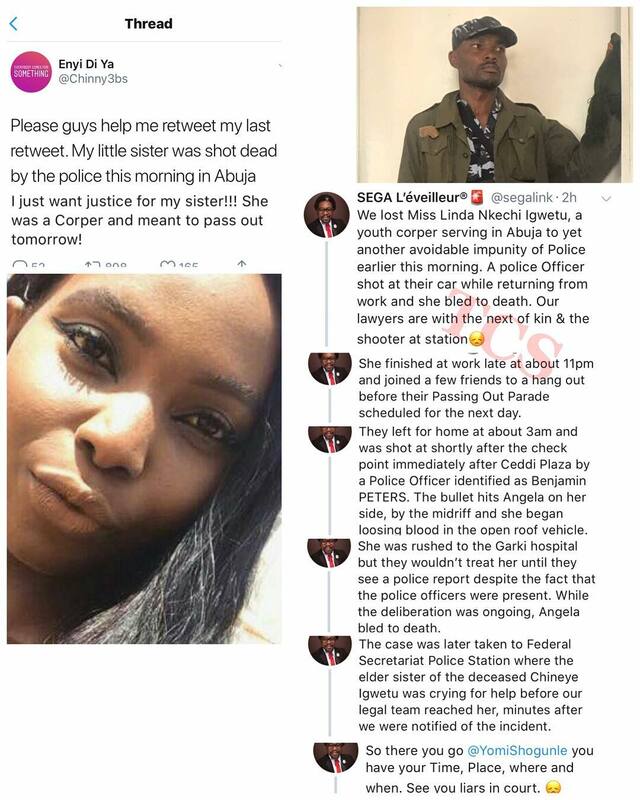 A serving member of the National Youth Service Corps (NYSC), identified as Igwetu Linda Nkechi, was shot by a policeman today in Abuja.
" My little sister was shot dead by the police this morning in Abuja,I just want Justice for my sister!!! She was a Corper and meant to pass out tomorrow!